Do you ever allow yourself to get carried away with worry? I sure do! It can be overwhelming trying to homeschool 3 children (one of whom is severely autistic and another who has Asperger’s), keep the house clean, get the laundry done, feed everyone, be a loving wife, take care of church obligations, and work from home. The list looks so long when I stop to think about it! Your list may look a lot like mine, or it may look completely different. When you are a wife and mother, though, it’s almost certain that your list is long! Recently, I’ve had several days during which I was literally on the verge of panic. I felt overwhelmed, tired, stressed out, and had trouble focusing on any of the things I needed to do. When I feel that way, it’s hard not to question God. After all, God could change my circumstances if He chose to do so. He could cure my children of their autism and Asperger’s. (He could cause them to be a little more compliant while He’s at it!) He could bless us with more money so I could hire a housekeeper to help with the work. There are so many ways He could change things to make life easier for all of us! For a long time, I couldn’t understand why He didn’t do something. But lately I’ve started to realize that I need to choose not to worry about why God doesn’t change my circumstances. I don’t think it’s wrong to pray and ask God to heal my special needs children or help me identify ways to help keep the house clean, but I do think I must stop allowing myself to become frustrated and unhappy when He doesn’t do it my way. In other words, I have to learn to truly trust God. To understand that, even though I may not be able to see past my current situation, God can. Not only that, but He will make sure that whatever happens works out for the best! At times it is literally impossible for me to know how a certain thing can possibly work out for my good or anyone else’s. When something tragic occurs, it seems as if no good could ever come out of it. To be honest, I would never voluntarily go through adversity, but I know there will be times when these situations will happen anyway. How can God use my daughter’s autism for good? How can God work it out for everyone’s best when He allows my son to have Asperger’s? And how can my inability to keep my house clean possibly ever work out for the best? Yet no matter what, I can know that at the very least God will use these situations to allow me to know better how to comfort and support others who are experiencing similar circumstances. And He can use these situations to teach me to rely on Him and not myself. For now, I’m taking it one step at a time. I’m praying that God will help me obey and trust Him whether or not I understand what’s going on in my life. I’m choosing to remember that God will work things out for my good (and the good of my family members too). I’m choosing not to try to “help God out” by doing things my way. (That never really works out very well anyway, does it?) And I’m believing that God will honor my efforts to trust Him without question and that He will keep His promises. What about you? Do you have trouble allowing God to be in control? Do you get depressed or upset when your situation is difficult? Maybe you can agree with me that God will take care of us. That He loves us. That He will do what’s best for us. If you’re in that situation and you’d like to leave your prayer request in the comments, please do that. I’ll be happy to agree with you in prayer that God will work each situation out for His glory and our good! Did you have a camera inside my house yesterday?? These were indeed my prayers as my day came to an end last night. I think it is especially hard as a homeschooler because we spend so much time in our little world (or at least I do) that I am easily consumed with anxiety and have no outside distractions or perspective. Some times I will just put the kids in the car on a nice sunny day and drive around our town or run an errand to get out and remember there is a world outside of my all-consuming household. God gave us one life and I don’t want to squander one moment with worry and feeling overwhelmed but it is easy to do. Thank you for keeping it real Wendy! I’m so glad to hear that my article was right on time for you! To be honest, I’m sure I’ll go back and read this article again just to remind myself what I wrote! 😉 I’m thankful that God loves us anyway–even when we don’t trust Him completely. And I’m thankful for comments like yours that encourage me and keep me going! I always love your posts! Seems we go through the same things at the same time! Thank you! Thank you for your encouragement today; your timing was perfect. With 6 to home school from kindergarten through high school, overwhelming bills and not enough money to pay them, physical illnesses that leave me without sleep and aching during the day, family members headed for harms way as they leave for active deployment, a brother who called this morning to say he has stage 3 pancreatic cancer, and more. Yet, in all of this we know that God is good and He loves us! I was humbled and in awe of God’s goodness as we brought all these things, as a family, to the feet of our Lord this morning and I heard my children’s prayers rise up before the God of the universe and I know He heard us! Wow! Carrie, I just prayed for you and your family in all of these circumstances! God is good–even when it doesn’t seem like it at the time. I’m glad to have had a small part in encouraging you! Hi! 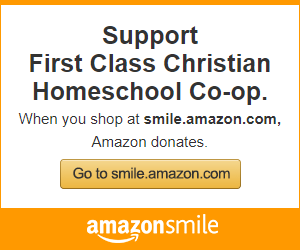 I don’t homeschool, but am drawn to the world of it and to blogs and such that pertain to it. I have had somewhat of a loss of happiness since this past summer when everything seemed to crash down on me all at once. Literally. I got a sudden onset of tinnitus (I will probably have it for the rest of my life, and am learning to adapt with it). It took quite a few months of learning how to fall asleep with it. Then, it took some time to get off a low dosage of drugs that helped me fall asleep when trying just failed. Not one month after this diagnosis, we had a nasty traumatic event happen to us by our former neighbors, where we literally picked up and left our new home (thank God we were renting) and moved back up North to stay with my family for the time being. We left our amazing community of friends, who are like family to us. My kids are little, and it was just awful. I had to care for my kids without my husband while he stayed behind to work and find a job up North during it all. We are now in a rural northern town with barely any friends. It is SO SO SO hard. We are first now, a few months into finding a new normal. So, I had to play happy mommy to my 4 year old daughter and 2 year old son so that they could adjust without too much sadness. Plus, dealing with tinnitus in my life (finding a new reality with that), and having left my friends of four plus years behind so suddenly. These are friends with whom I shared being a new mommy. I was blessed that these friends threw us a huge belated going away party to which we traveled for. Up until this awful past summer, I had the best four years of my life what with being a new mommy in a great community with amazing friends, etc. What good could POSSIBLY come out of this? Did God just forget about us??? I am sorry to hear that you have had such a rough time. I too went from having a very happy few years with my young children to facing some real financial, business challenges during the recession and losing the business my husband poured 10 years of his life into, to watching my mom die from a horrible illness. I had a very difficult time understanding His plan and how it would ever be OK again. But it was through coming out on the other side and being OK that I found out what true Faith looked like. During my darkest times I could only cling to the hope in His plan. I have come to see some of the beauty in things that have come out of that time, which are too long to detail here and there are still things I can’t understand and maybe I never will or maybe they were intended to benefit someone else down the road that I haven’t met yet. God never forgets us. 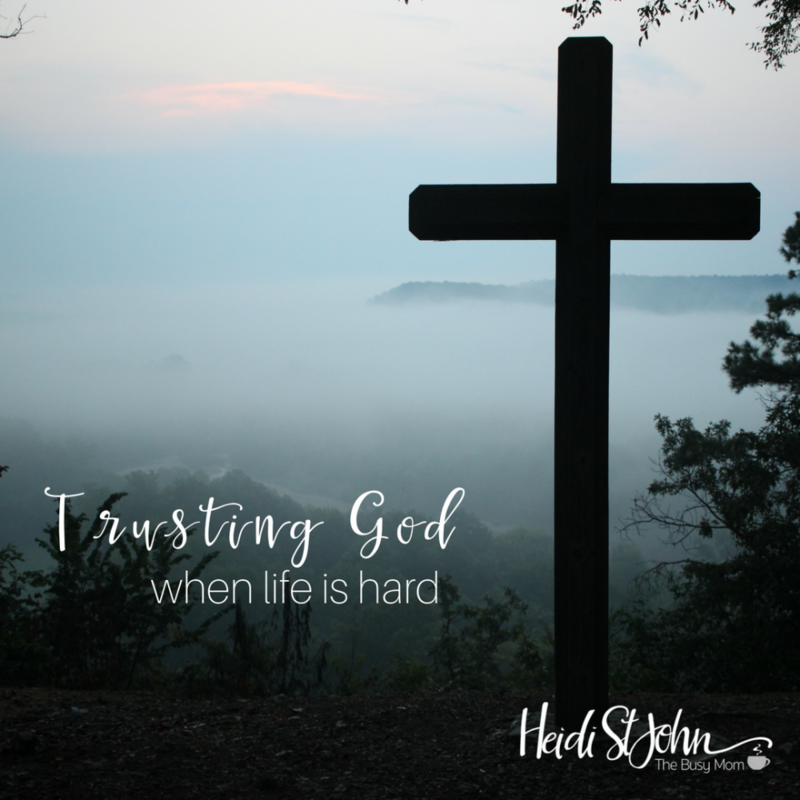 We may not understand His plan or how it could possibly turn out to be for the best, but trusting His plan is one of those really challenging parts about Faith in Him and I had to learn that first-hand. There may be some amazing things in- store for you in your new town or there may be things that won’t be revealed to you until much later. I wish you all the best. I apologize for a second reply and don’t want to be long-winded, but your post has really stuck in my head, especially you asking if God forgot about you. I felt moved to respond again because after my mom’s death I had a powerful revelation with regards to me feeling like God forgot about us. I was raised in a Christian Faith that emphasized good deeds and a belief in God, but I realize now that I never understood, true salvation. I moved to the buckle of the Bible belt where I was frequently approached by well-intended Christians trying to “save me”, but who went about it in a off-putting way so I built a wall around myself and wouldn’t even entertain the conversations. I knew that I believed in God and I was a good person, so I felt comfortable with my salvation. 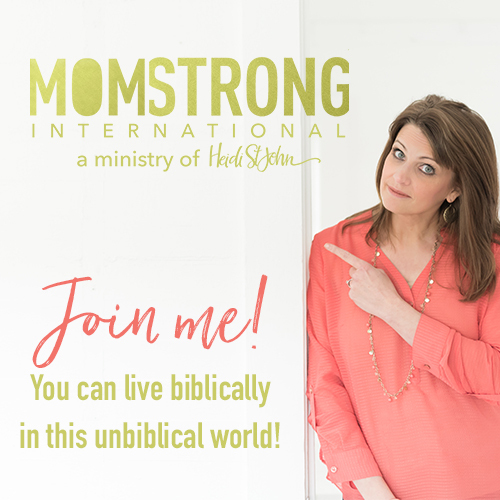 It wasn’t until I was faced with the loss of our business, financial crisis, and my mom’s illness that I truly grasped that the only one I had was God. Unfortunately, God had to bring me to my knees, quite literally, for me to finally trust Him and realize the meaning of the Savior. So my revelation after I came out of that time was that God hadn’t forgot about me at all, He was actually coming back for me. I was one of the lost sheep and He used those trials to bring me back to Him. I have no idea where you are in your Faith and I hope that I haven’t offended you, but I really felt the need to share that with you. We had tried several churches in our area that just didn’t fit. The last church that we tried during that dark time ended up being a God-send literally and it was during our time there that I came to realize what God was doing with all of our trials. If you’re not a Christian, I would like to encourage you to find a local church and speak to a pastor or someone there who can help you. If you are a Christian, then I can promise you that things will work out. God promises that they will. However, that doesn’t mean they’ll work out exactly how you want them to or that He will work on your time schedule. That’s the hard part! Another thing to consider is that, with young children and a huge move and all the stress you’ve been under, you may be having hormone issues, depression issues, or a combination. I cannot offer medical advice, but I do encourage you to try to eat healthy, get plenty of sleep (as much as you can with little ones), and consider seeing a doctor (or natural doctor) who may be able to help figure out what’s “off” and how you can get back in balance. I’m so glad you left your comment here! I’ll be praying for you! Oh my, I needed this encouragement today. Thank you so much. I’m a stay at home mom with a 6 month old son, and although both my husband and believe that I’m where God wants me, it’s so hard to trust that God will provide when the money just isn’t there. I’ve been trying to start a freelance graphic design business and have been wanting to start a blog but just feel so overwhelmed. days like today it’s much easier to panic then to trust that God can and will take care of us. Thank you so much for such s beautiful reminder of where I need to put my trust today. You’re very welcome, Becky! It’s so hard dealing with financial trouble and staying encouraged, isn’t it? That alone is difficult, but adding anything else to it makes it feel impossible! Thankfully, God specializes in doing impossible things! I’m praying for you and your family. Thank you for your sweet comment! My dad was just diagnosed with stage 4 lung cancer that has already spread to his liver and lympnodes. We are trusting the Lord for healing if it be His will. It’s been very hard….he is the best Daddy and Papa in the world to us….Please pray for God to give us directions for the right Doctor and choice of treatment. We want to trust Him in all these things to lead us. Prov. 3:5&6 Thank you for your blog tonight. I’m praying for you and your family, Kaycee! I’m so sorry to hear about your dad’s cancer. I am praying for direction and God’s comfort for all of you. The chances for chromosomal abnormalities. To say this was not what we were expecting wouldn’t even begin to sum up our emotions yesterday. It was a roller coaster of emotions. We are waiting to now to hear about when I have to go for further testing….there will be lots of ultrasounds, blood work, etc in my future. Thank you for this post and the verses you included in it. I am writing them out our white board and will be meditating my on them every day. God bless you! I’m praying for your family and your baby! That is a very hard place to be! I’m praying that God takes care of you, your husband, and your little baby as you wait for him to be born and make decisions about his future care. Hugs to you!! I am a 26 years old momy with 3 little boys (6,5 and 3) from roumania but living in Mexico, with no family or friends were everyone looks at you like an irresponsable parent if you homeschooling your children. Your article is very encoureging and confirms me that God talks to our hearts and gives us strainght in so many ways…. Today I just sit down and cry asking God the tipical quastion : “why?” Why did He gave permissons to all of my decisions and if weren’t mine, why did He transform my life in such a difficult way? But now , after my tears are dry and I found moms that feel so much like me, I know I’m not alone and God will not put something that we can not manage…. I’ ve also been to school today to speak with the principal because I thoght I couldn’t handle it…. The answer I recived is that I must come in a few days…. But I have some douts about it….. Hope in God to take the wright decision…. Man! This post went straight to my heart! Thank you for the reminder that God really is in control, even (or especially) when I think that I am. 🙂 I have made a lot of progress letting go and trying not to get so worked up with worry, but I still have a ways to go yet. I am learning to lean in to, rely on, go to and trust in God a little more every day. I forget this often but I am trying. I needed this so much. I have been struggling for 2 years now with anxiety and depression. Sometimes I feel like anxiety will win. I know God is in control, but it’s trusting Him through it all that struggling with. I hate anxiety so much and I wish it would leave me forever. I asked God tonight if I give it to Him would He please take it from me forever. I want peace so badly. The anxiety is literally making me sick. And this time of year is so hard for me. I long for the warmer weather and longer days. God help me get through it because I can’t do it on my own. Hang in there, Susannah. God sees you. Turn on some worship music! Praise is like kryptonite to the devil! Deuteronomy 31:8 “The Lord himself goes before you and will be with you; he will never leave you nor forsake you. Do not be afraid; do not be discouraged.” He will never leave or forsake you. You are loved. Thanks for the much needed encouragement today! I am choosing to Trust God minute by minute, hour by hour, day by day. As I breathe in and out sometimes. Some days are easier than others to Trust and not feel overwhelmed by the unknown future. But, I have learned that if I stay fully in the present of the current moment, and current day, and Not look to tomorrow or next week, I have peace in each moment. But, I filled with worry and anxiety if I think about days or weeks or months from now. My dear husband was diagnosed suddenly with stage 4 non Hodgkins lymphoma Oct 2013. At the time, he was a healthy 40 year old police officer that had run 8 miles the day before he was diagnosed with zero symptoms besides occasional heart burn & bloating which we thought was food related. Our world git flipped upside down in an instant with 1 ER visit (he had sudden pain over night and thought it was an appendicitis). Nope. A large collection of lymph nodes had taken over his abdomen. Shocking doesn’t even adequately describe it. But, through the shock, I just kept chanting…..I trust you God. I will trust you. My husband has been battling chemo every since. 2.5 years. It’s been long, hard, and difficult. But, he is still alive and God has been Faithful to carry us through. His cancer hasn’t gone away, he gets chemo every 8 weeks, and scans often, to monitor it and make sure it it remains “contained & stable”. It is a large grapefruit size in his abdomen. (But had been throughout his entire body in every lymph node and bones from the neck down.) God has enabled my husband to continue working throughout these past years of chemo. I have continued homeschooling our 13 year old son, 10 year old & 7 year old daughter. 6 months into this cancer battle, we discovered that my youngest child was having double vision constantly and needed very expensive vision therapy 3 times a week for 30 weeks and had a sensory processing disorder, and ADHD. Praise the Lord her eyes have been fixed and she just started reading, which the eye doctor said would have never been possible without therapy. And she has received over a year & will continue of occupational therapy for her sensory disorder. Needless to say I’m emotionally and physically exhausted! And, financially wiped out from the extreme costs of chemo and uncovered vision therapy. But, God has been Faithful. My relationship with God has grown stronger and deeper than I knew I needed, as I rely hourly on his strength to carry us through this battle with cancer. God has taken this “In control, organized, accountant, type A person like myself and flipped me inside out & upside down. (For examplw: My Christmas tree is still up in my living room with ornaments today and I don’t care! The kids love it and think it’s beautiful and it makes them happy!) It hasn’t been easy and I often am afraid and overwhelmed. But when I keep my eyes in the present and on my Savior, I have peace and joy that surpasses all understanding. God has Not left us or forsaken us. His love is soooo great! He is a good good Abba Daddy. Please pray as we continue to navigate these stormy waters, to keep our eyes fixed on Jesus, not the storm raging around us, and to remain calm in the boat. Wendy, thank you so much for this article. I have been recently dealing with some combat in my life where I have had a hard time letting go and letting God take over. I tend to worry myself sick (literally) and have been battling some depression as well. As someone who considers herself a strong woman, having been diagnosed with this is extremely difficult on top of an already difficult situation. Thank you for the reminder to trust God, it is something for sure that is being laid on my heart. I appreciate your words and send many prayers your way. Thank you again- God bless! I often wondered how my house not being tidied could be good. Then a friend said that she learned from it. She said we will invite people in – even amidst a mess – and not apologize for it. She said she realized her home didn’t need to be perfect to be hospitable. It was humbling for me. I have a other friend who loves the chaos of my children. Makes this friend feel like it is a home. The Lord is so good! He is, isn’t He!? We’re all in need of authenticity at the end of the day. It doesn’t have to be perfect. I love this. Thanks Tammy!